Hearts will be looking to complete a fine week for the club by grabbing their third win in a row when they travel to face Hamilton Academical on Saturday (3pm KO). Craig Levein’s side edged a 1-0 win at Dundee last Saturday thanks to a Sean Clare strike, and the Englishman was on target again as the Jam Tarts booked their place in the Scottish Cup semi final at Hampden Park. Hearts trailed Partick Thistle in the quarter-final replay at Tynecastle on Tuesday night which caused much consternation among the home support. Yet, strikes from Uche Ikpeazu and then Clare handed the side the much needed win which leaves just a Championship side standing between them and a Scottish Cup final. Performances over the last few months have not reached the high standards of earlier in the campaign but the return to Hampden - the first time since the 2013 League Cup final - provides the club with a real feel-good factor and that positivity could flow onto the pitch. Hearts are just four points behind Aberdeen in third-place. It is not beyond the realms of possibility that Levein leads the team to third place and a Scottish Cup win. There are no fresh injury worries after Tuesday night and there was further good news with Steven Naismith’s knee surgery going well. Levein has played the same team in back-to-back games just twice this season so changes to the team are likely. 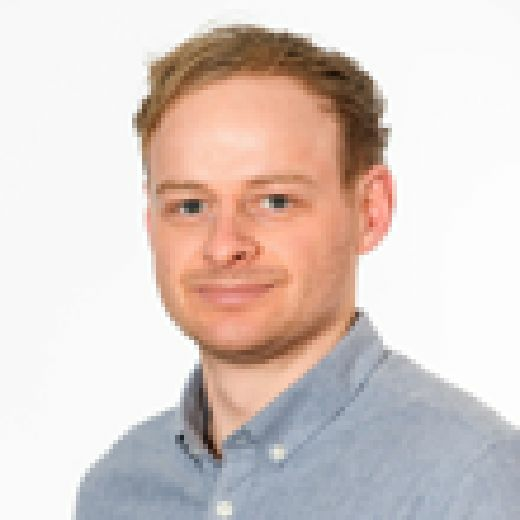 The influential Peter Haring will be looking to come back in having netted twice in the 4-1 win at the Hope CBD stadium earlier in the season, while Callumn Morrison, Steven MacLean, Craig Wighton, Jake Mulraney, David Vanecek and Aidan Keena will be battling it out for two spaces in support of Uche Ikpeazu. Clare will be looking to net for the third successive game. The 22-year-old is continuing to grow in confidence, as seen by him taking the Thistle game by the scruff of the neck. Hamilton are favourable opposition as Hearts look to close the gap to Kilmarnock and the Dons - they are struggling and the bottom and no team have conceded more goals than Accies’ 61. Yet, there is still something of the unknown about Hamilton under Brian Rice. Since replacing Martin Canning they have beaten both St Johnstone and Aberdeen with the latter victory coming at Pittodrie. That has been offset with very poor in defeats to Rangers and Motherwell. In both matches the team failed to engage their opponents and were far too open, allowing both teams’ creative players to run amok. Rice is still searching for the right balance since arriving, which is understandable considering he has very different ideas to his predecessor. Expect Aaron McGowan to come back in at right-back. The tenacious and aggressive defender was surprisingly dropped to the bench against Motherwell. Matthew Kilgallon offers vital experience in the middle of the defence. Mikel Miller and Tony Andreu provide creativity with George Oakley the focal point in attack. Hearts: No fresh injury concerns. Steven Naismith (knee), Michael Smith (thigh) and Demetri Mitchell (knee) all remain out. Hamilton: Accies could be without Steven Davies with the bustling forward having missed the last three outings with a calf injury. Rice is missing Scott McMann who is recovering from a broken hand and long-term absentee Marios Ogkmpoe who is nearing a return from a knee injury. Hearts: Zlamal; Godinho, Souttar, Berra, Garuccio; Djoum, Haring, Clare, Mulraney; MacLean, Ikpeazu. Subs from: Brandon, Shaughnessy, Bozanic, Lee, Morrison, Wighton, Vanecek, Keena, Cochrane, Doyle. Hamilton: Woods; McGowan, Gordon, Kilgallon, Sowah; MacKinnon, Martin; Miller, Imrie, Andreu; Oakley. Subs from: Gogic, Want, Taiwo, Tshiembe, Keatings, McMillan, Mimnaugh, Smith, Davies, Fulton. The combined number of yellow cards Hearts and Hamilton have picked up this season in the league. No two Premiership teams could ‘better’ that number. It is becoming a feature of Hearts game now where you automatically look at the opponent’s centre-back pairing. 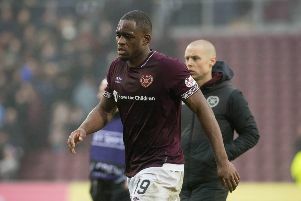 In the game between the sides on the opening day of the season Uche Ikpeazu was prominent in the win, setting up Steven MacLean. He also bullied and ragdolled in good measure Shaun Want, Ziggy Gordon and Alex Penny. Accies can be vulnerable at the back and it will be no surprise to see Hearts play through the Englishman frequently. Hearts are not known for their fine away form or positive records. However, the Gorgie side are unbeaten in their last four visits to Hamilton and are currently on a ten game unbeaten run against the Accies, home and away. Willie Collum takes centre stage at the Hope CBD Stadium. He was the man in the middle the last time Hearts lost at Hamilton. With Hearts having won their first five games of the 2015/2016 season after promotion back to the top flight they were on course for their sixth win. Collum sent Callum Paterson off and Hamilton came from 2-1 down to win 3-2.